Good Friday is marked as a Christian holiday to commemorate the day that Jesus was crucified. Good Friday is also known as Holy Friday and Great Friday and Black Friday. Jesus was found to be guilty of proclaiming himself as God's son. Hence, Jesus was arrested and as a punishment was sentenced to crucify. This day is marked on Friday before Easter Sunday. This day is spent in different ways, some people fast entire day, at some church they take down the cross, offer prayer. It is declared as public holiday by the Government all over India. The term good in Good Friday is not taken in an actual sense. Here the word good is referred to holy. On this day, Jesus Christ was beaten and a crown of thorns was placed on his head. He was placed on a cross and with his wrists and ankles fixed with nails. According to the Biblical and Julian calendars, the crucifixion of the Christ was on a Friday in the AD 33 or AD 34. Good Friday is the only day of the year when the celebration of mass is forbidden. 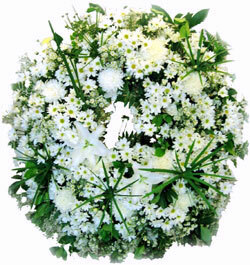 Funerals are celebrated without singing, music, and bells. Initially, this day was known as God's Friday to remember Jesus Christ's sufferings and death. Earlier this was only observed as a day of simple fasting but later on, after the 4th century, it was associated with crucifixion. It is believed that Jesus underwent humiliation and pain for the cause of goodness and humanity. According to the Gospels, some temple guards arrested Jesus Christ on order of Judas Iscariot who was one of the disciplines of Christ. Judas Iscariot had received 30 pieces of silver for doing this. After arresting Jesus, the guard brought him to Annas who was the father-in-law of Caiaphas, a high priest. After a long interrogation, he was sentenced to death as nothing was told in favor of him. During the solemn oath by the high priest "I adjure you, by the Living God, to tell us, are you the Anointed One, the Son of God?" Jesus Christ answered very unclearly that, "You have said it, and in time you will see the Son of Man seated at the right hand of the Almighty, coming on the clouds of Heaven." Jesus Christ was brought to the Roman Governor Pontius Pilate for leading as a king and opposing the taxes to Caesar. Later the case was referred to the ruler of Galilee- King Hero, as Jesus was also a Galilee. King Herod interrogated Jesus again to which Jesus answered very few of his questions. Seeing to this, Jesus was found not to be guilty and was sent back to Pontius Pilate. A night before, Pilate's wife had dreamed about Jesus and told Pontius to not do any wrong thing with that righteous man( Jesus). Pontius then released Jesus but soon he was charged with another mistake of proclaiming himself as God's son and was remanded for a sentence to death by chief priest. Pontius Pilate soon brought Jesus back to palace. Pontius declared Jesus innocent but to stay away from the blame, he handed over Jesus for crucifixion to prevent the riot and save his job. At the site of the crucifixion, it was declared that truly Jesus was God's son as the whole land was full of darkness and earthquake had hit the land. 1.Tenebrae is held on Good Friday which focuses on reading scriptures that described Jesus' crucifixion. Tenebrae may be celebrated on Holy Thursday in Roman Catholic Church. Tre Ore that is three hours is a service that runs from 12 noon to 3 p.m. It is believed to be the time of Christ's death. This service focuses on the last seven phrases that Jesus said before his death. 2. Good Friday is the day our Savior died for us. Fast and abstinence is required on Good Friday as it is the day of penance and is to be observed as of obligation in the whole church. 3. Another old tradition which is followed on Good Friday is to make and eat hot cross buns. This bread is slightly sweet and has a cross motif on the tops that depicts the crucifixion. 4. Most of Good Friday service ends with the church bell toiling 33 times. 5. On Good Friday, Christians can eat a complete meal only once and two collations or light meal during the day. 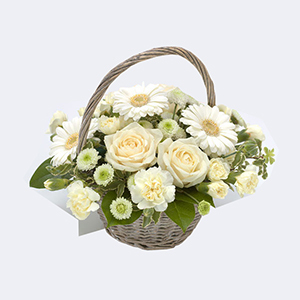 Celebrate Good Friday by sending Good Friday Gifts to your loved ones.